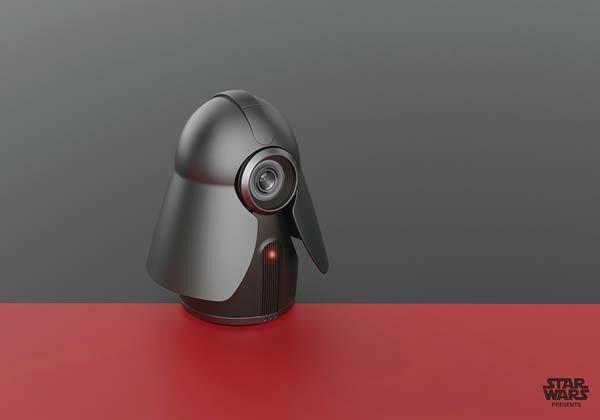 Korean designer Hyeonseok Kim has brought a fun approach to home security with this Star Wars inspired home security camera. Similar to the popular super villain, Darth Vader, the security camera includes a removable helmet for easy access for cleaning and maintenance. The camera also features a LAN input for internet broadcasting allowing users to monitor their homes remotely, while a micro SD slot enables recording for extensive periods of time. As much as we’d love to have the Sith Lord intimidating any potential intruders, the Darth Vader security camera is currently only a concept, however we are excited to see if it becomes a reality! Until then, may the Force be with you. 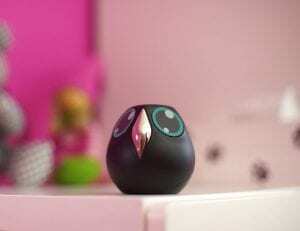 While the Darth Vader camera may still be a concept, a creative home security device available to pre-order is Ulo, the interactive home monitoring owl. Ulo communicates to the user through eye expressions, for example, Ulo will appear tired if the battery is low, Ulo will blink when it takes a snapshot and Ulo will squint when someone is watching a live video. Other connected devices or internet services such as the weather can also trigger Ulo’s emotions to change, for example, Ulo will appear grumpy if it begins to rain. An accompanying web page and mobile app enable you to customize Ulo by changing its eye colour, shape and size to match your taste. Although Ulo looks cute, Ulo keeps your home secure using different modes. Alert mode starts recording every movement in your home after your smartphone leaves your wifi network. When you return home and your smartphone reconnects to your wifi, the alert mode is disengaged. Ulo also includes a live video feature which streams straight to your mobile phone or tablet, allowing you to monitor your home remotely.